Summary: In this stunning debut, a young Iranian American writer pulls back the curtain on one of the most hidden corners of a much-talked-about culture. My Thoughts: Sahar speaks from the heart and won my own heart in the process. Sahar and Nasrin are in such a difficult position, but Sahar refuses to give up without even trying. She looks for ways to change her situation with courage and hope. I appreciated reading a book set in Iran. Sadly, I did not know many details about life in Iran. Readers certainly won’t become experts, but will at least have a picture in their head of Iranian people beyond what they may have seen on the news. 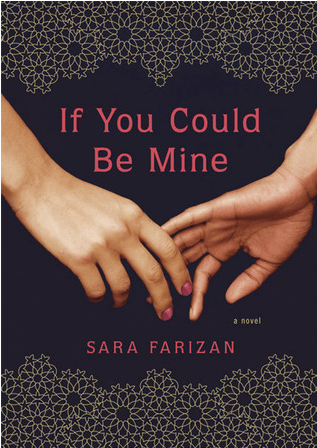 If You Could Be Mine presents a complicated romance and the coming of age of two young women. Recommendation: Get it soon. Take advantage of this chance to meet Sahar and the people she loves.